I've been enjoying working with this yarn. It's Rowan Purelife Revive, I've never used it before but it's very interesting up close because it's got a lot going on in there. The pink and red make up the main colour but there are flecks of blues, yellow, orange and even a neon green. 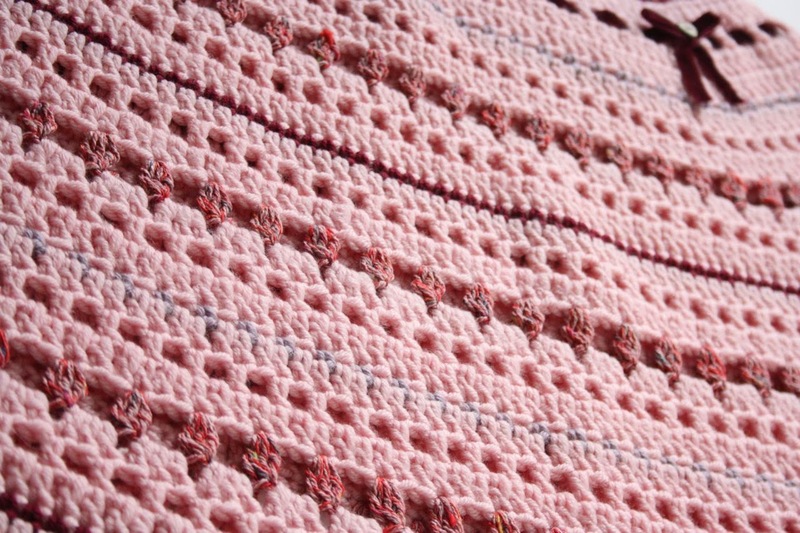 I've been using it in the poncho I've been working on and I like the effect of this yarn against the plain pink which makes up the main part. I've been wanting to make a poncho for a while. I love shawls, really love them, but they do have a habit of getting all un-arranged and flopping down from where you'd like them to stay. I wanted something that would keep me warm and allow me to make a cup of tea without me having to hold everything in place to stop it dangling in the cup while I do it. I wanted something fairly simple but not completely plain so I used one main colour and just added a couple of contrasting rows to keep it interesting. I quite like how it turned out. My favourite bit, naturally, is the loops on the bottom. I had the idea to do this sort of thing a while ago and this seemed like the right place to try it out and I love the effect. It looks all intertwined and highly complicated but it's really not. It's actually easy peasy to do. The hardest part was thinking out different sizes. I wanted to make this into a pattern and I also wanted to have an attempt at a garment with different sizes and this, relatively simple thing seemed like a good place to start. 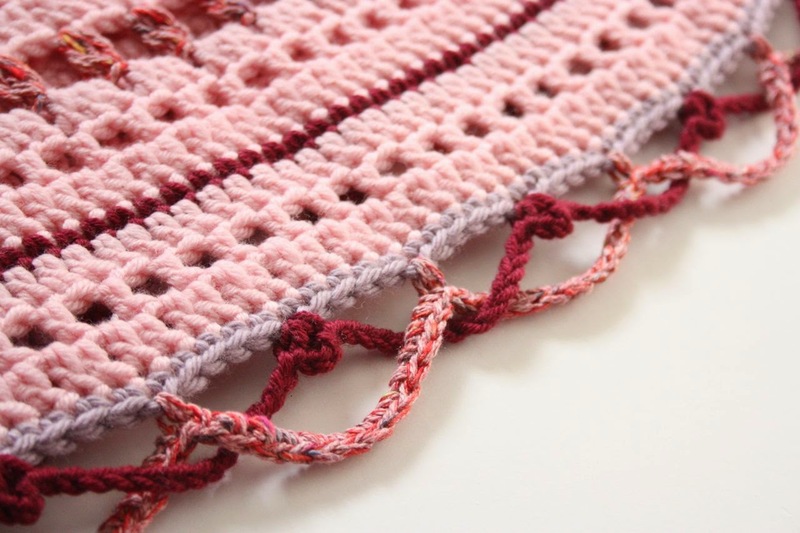 I don't know about you, but crochet maths can sometimes make my head hurt so it took me a while to figure out how it should all go. But I managed it and actually, once I could see the pattern in the numbers, it was quite straight forward to go up and down in size. To test things out, I'm making a second once for my Little Miss. She actually asked if I would make one for her, which she doesn't often do. It's hard to refuse her cute little face and anyway,it gives me a good chance to check my sizing theories. If that works out ok I'll get the pattern and other sizes all tested. All very exciting but I'm feeling a little intrepid too, this sizing business is new ground for me. 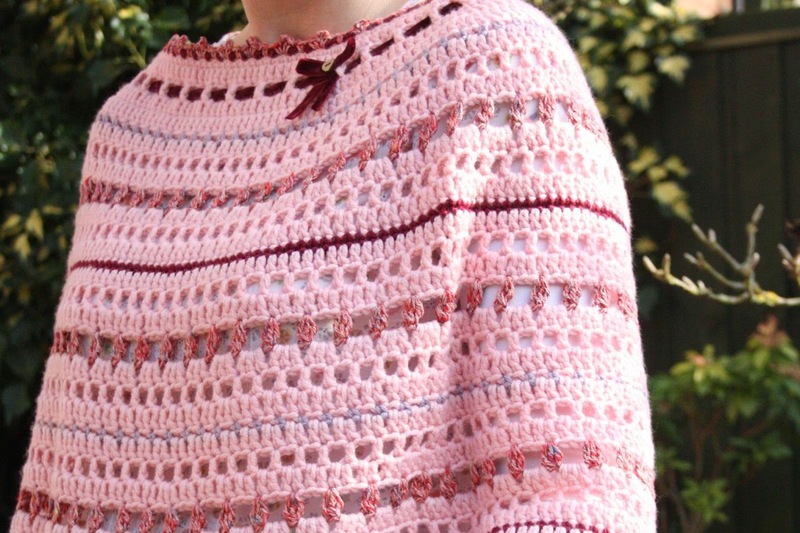 Still, if all goes well, I'm hoping to have a go at re-working my Granny Shrug pattern, which is something I've been wanted to do since I originally made it. I'll have my fingers crossed while I see how it goes. Sandra, I really do feel repetitive but all I can say is beautiful wonderful gorgeous! Pink-ish colours are one of my fav lately (it started maybe only 3 years ago ...). And yes I understand that shawls can get bit annoying falling all the time but I love them anyway. How do you do it to be so productive Sandra? I am still working on a cover that seems to be taking ages to be done :-) ... Oh well, in the meantime my eyes enjoy your beautiful work, thank you :-) hugs, J. It's so pretty Sandra, and I love the loops ! Your colors that you use in your projects put me over the moon! I'm not a poncho or shawl gal but your yarns and colors are just gorgeous! How you do it I don't know but they are exquisite combinations and I love the ribbon with the button and that new yarn! I love how you've done the bottom. It does look difficult... you're sure it's not? The Rowan yarn looks great. I saw there are also beautiful other colors. Wow! I love that pattern! I shall be on standby for getting that one from you! Beautiful work! Trabalho lindo e delicado, com cores maravilhosas! Congratulations, it´s a wonderful work! Sandra, it is lovely. I especially love the chaining border. What a lovely poncho !! And lovely colour ! And it looks so comfy, perfect for spring too !! This is so wonderful!! 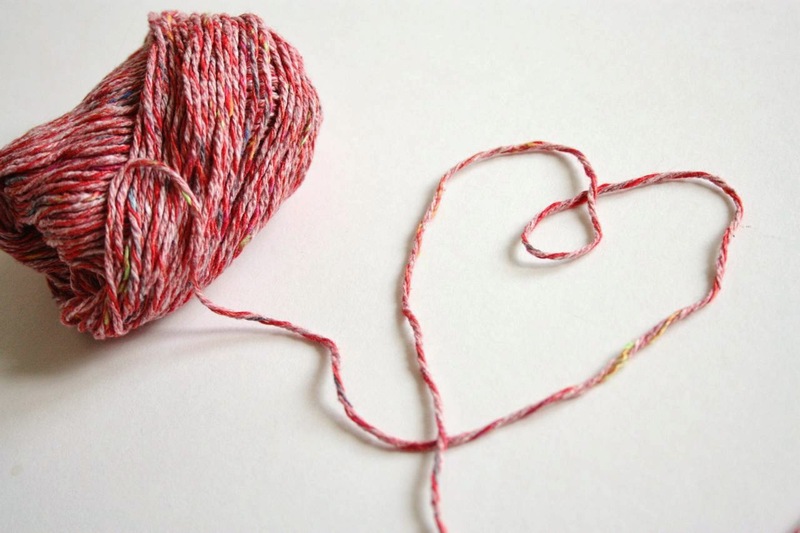 I am a knitter, and am drawn to your blog by the beautiful photos and content. I know how to crochet, but just enough to get by. I now want to crochet everything, just because of you!!! Cannot wait for this pattern! Love it. And you are so right. A poncho can be worn in a more casual way, while doing dishes, digging a flower bed or making a cup of tea without falling off. True - so true. And I love this one. Excited to see it in a child size. Must look so darn cute! Happy Crafty Wednesday and good luck with your crochet calculations. Why don't we learn THAT in school? I mean it is so relevant to know, right? More relevant than Ratio or Pi, linair equation or Square root. What do all those mean anyway? You go girl. I adore this! 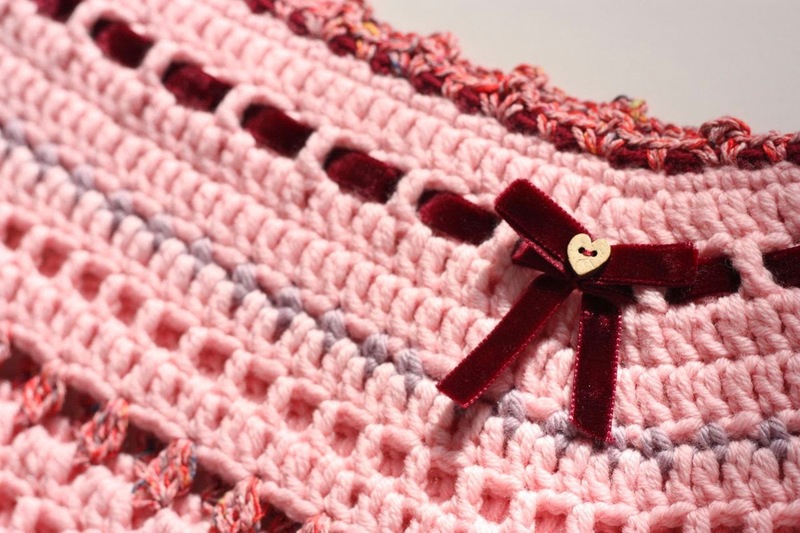 I love the little shots of the varigated yarn..it really breaks up the link and the velvet ribbon is genius. 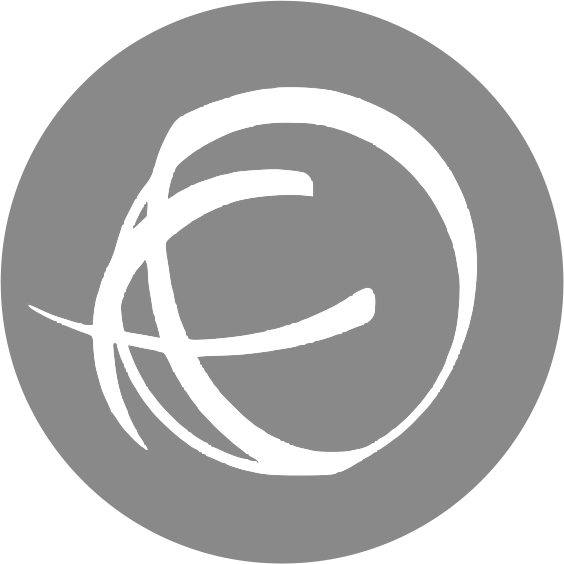 But my absolute fav are the intertwined little loopy loops around the bottom. What a lovely poncho... so pretty. Absolutely lovely! The colours, the concept...and that border! 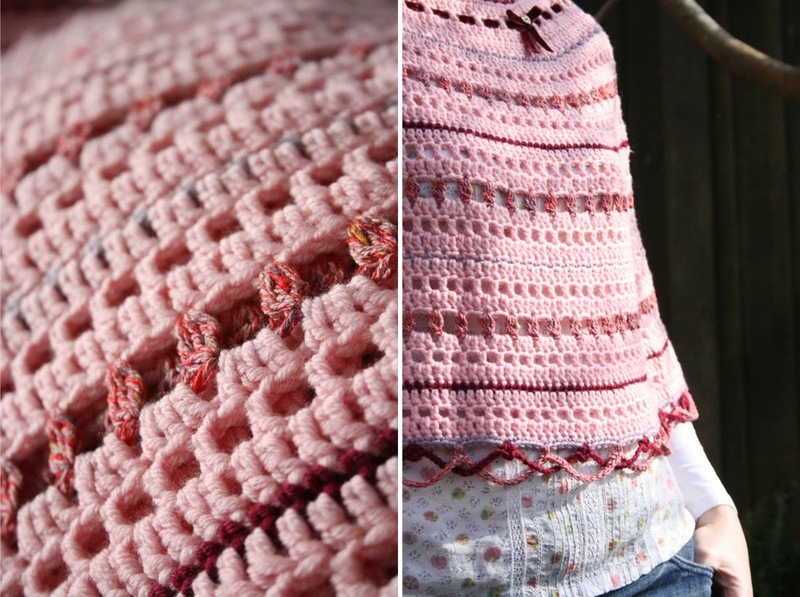 You have a clever crochet mind :) Thanks for sharing your creations and the story behind them! Your blog is such a delightful treat! Sandra, that is just beautiful. I love your attention to detail with the edging and velvet ribbon. just beautiful ! Lovely Sandra, I like the Rowan Purelife yarn. Have a great weekend. Ponchos are really it at the present and specially with me. I'm looking for some great patterns and here one is. Not surprised you've done it. Can't wait for the pattern. Oh so true about an un-anchored shawl! The loopy bits at the bottom are a lovely finishing touch.... and they do look rather complicated! 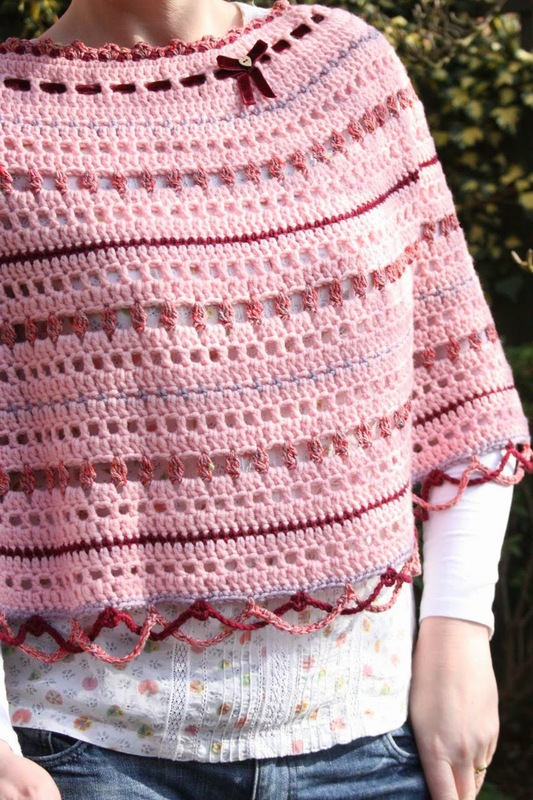 Really lovely and beautifull poncho! Wow Sandra, I think your Loopy Lou's are beautiful! I have two little nieces that I know would look just too sweet in the little version. Will look out for the pattern.